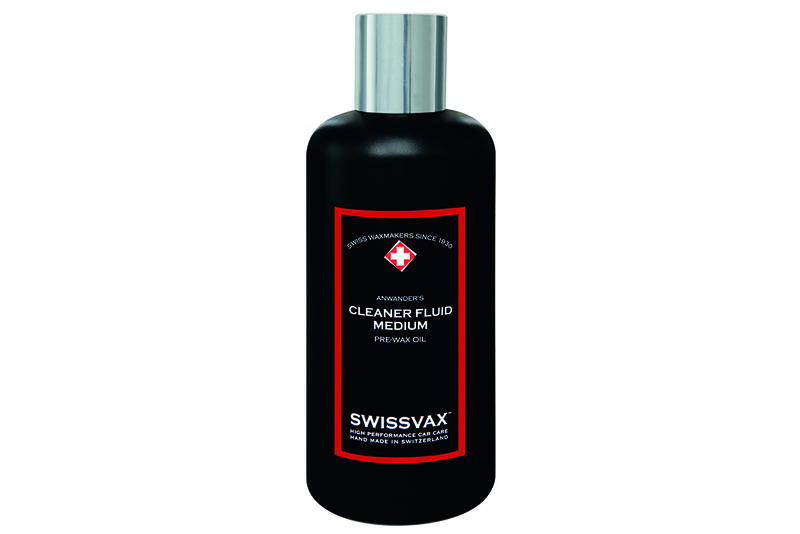 Swissvax Cleaner Fluid Medium is a light abrasive pre-wax treatment which is used on lightly weathered paint and paint with light to medium signs of use. It removes overspray, heavy oxidation, acid bird droppings and scratches and provides a smooth and perfect surface as a basis for the wax application. Cleaner Fluid Medium is applied evenly only on the affected areas of the paintwork using a Cleaner Fluid pad and is worked in doing longitudinal strokes under medium to strong pressure. The friction applied by this application technique causes the innovative micro granules contained in its formula to wear away against one another diminishing for a progressively finer abrasive polish allowing you to remove any irregularities on your vehicles paintwork while only abrasing the minimum required of its sensitive surface.